Raise your hand if you enjoy cleaning your bathroom!….Anyone? Exactly, it’s not my thing either. Nevertheless, who doesn’t love a clean sparkling bathroom? I’m sure that’s the majority of us! But what if I told you cleaning your bathroom no longer has to be a dreadful task. 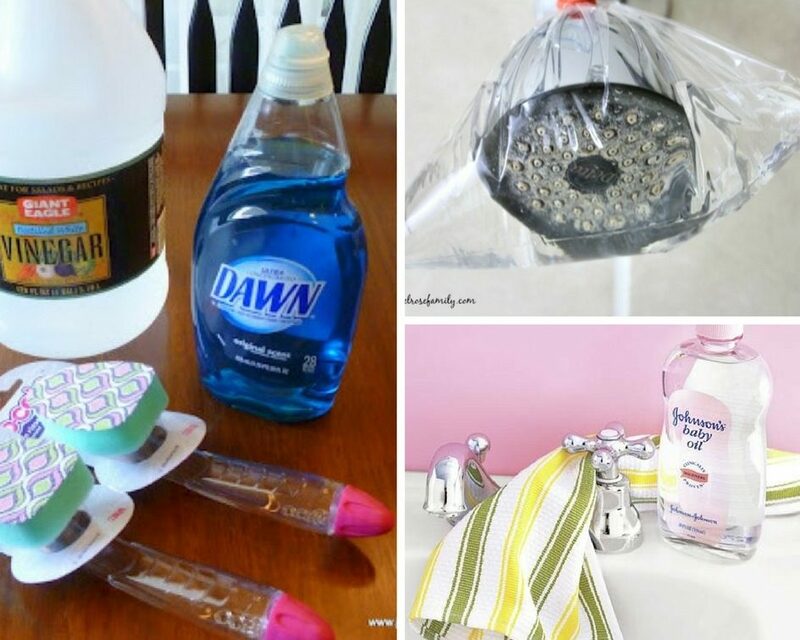 I’ve put together these bathroom cleaning hacks that will make your life so much easier! 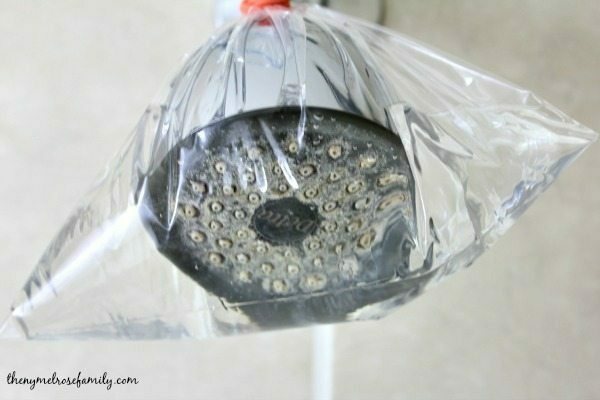 This concoction will help you to naturally freshen up your bathroom’s odor without the use of any harsh chemicals. Who said baby oil was only for babies? This bathroom cleaning hack makes your chrome shine like it’s brand new! This is the perfect remedy for eliminating calcium deposits and to remove limescale from a shower head! Bleach gel is the perfect product to clean grout between tiles. 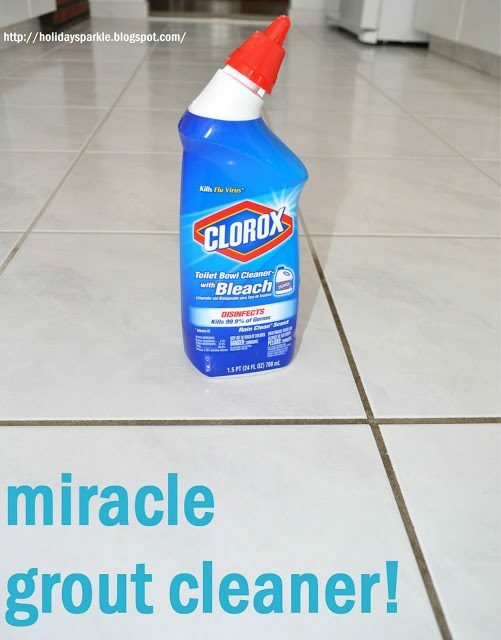 Not only will it whiten the grout, but it will also disinfect your floors in the process! 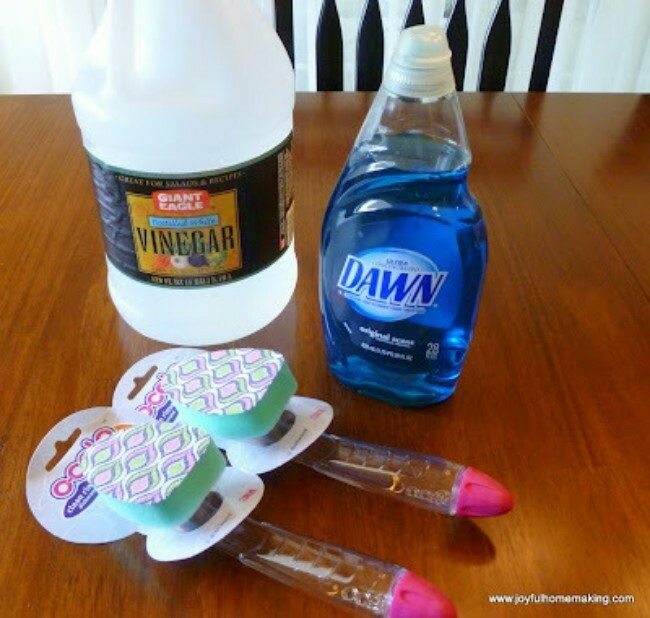 This bathroom cleaning hack uses dish wands so you don’t have to get your hands as dirty! I had no idea this would work, but it actually does! 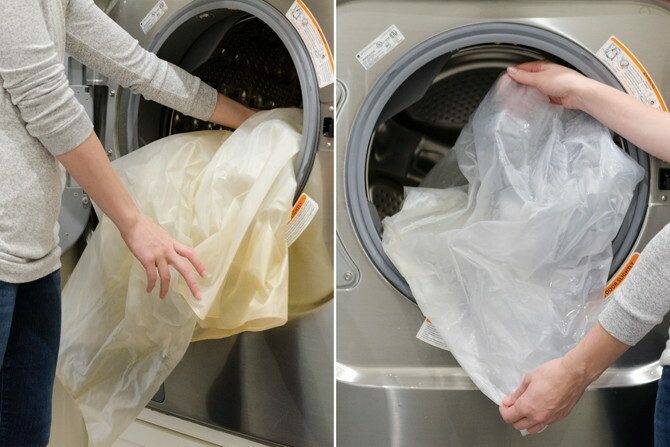 In the past, I would just throw my old shower curtains out and replace them with a new one. This bathroom cleaning hack not only keeps things clean, but it also saves money! I am usually disgusted by the toilet bowl brush. I love this idea because it keeps the brush smelling clean and more inviting. 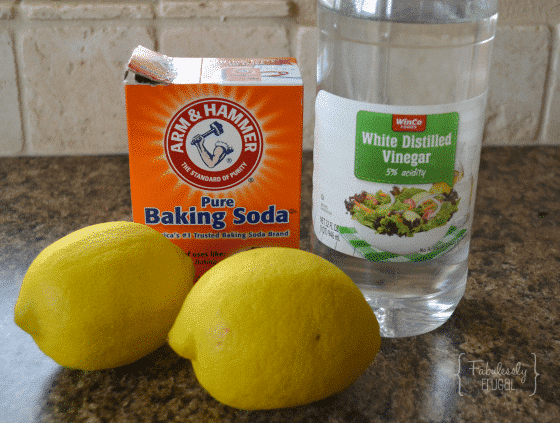 Get rid of those stubborn hard water stains by rubbing them with lemon. 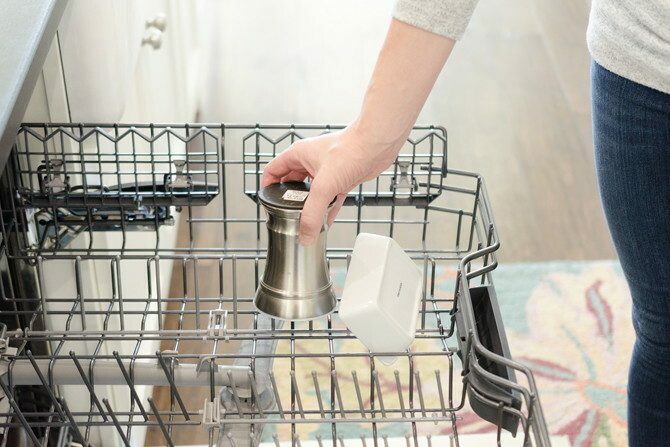 Just like your dishwasher sanitizes your regular dishes, it can do the same for your toothbrush holder! 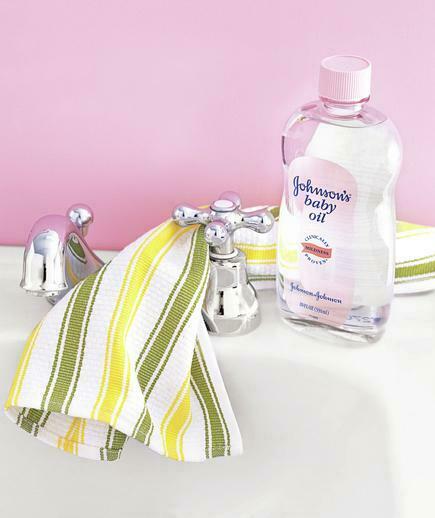 Keep everything germ free with this awesome bathroom cleaning hack. You should now be able to conquer your bathroom! 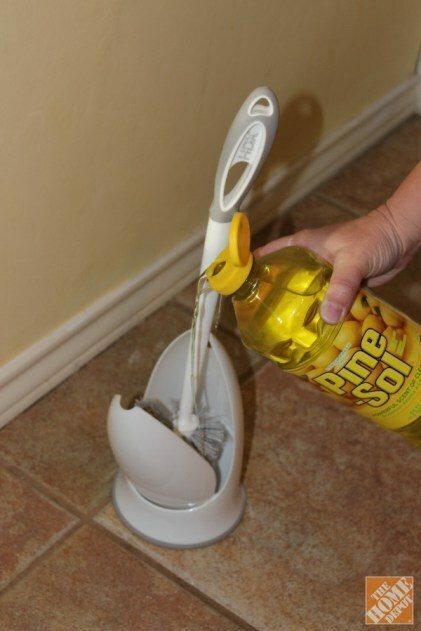 If you know of any other bathroom cleaning hacks, let me know in the comments!